Topical medications are usually applied directly to the skin of a person to treat a certain disease or problem rather than being swallowed in the form of a pill or than being gulped down in liquid form. Lotions, ointments and creams are the most common forms in which topical medications are found, though they aren’t just limited to these three forms. While topical medications are used to treat a wide variety of ailments, diseases and problems, one of their most common uses is in the treatment of musculoskeletal pain. Musculoskeletal pain is related to pain in the bones, muscles, joints, ligaments and tendons. Any sort of pain that affects the bones and muscles is considered musculoskeletal pain. Topical medications are considered to be more effective than pills in cases of chronic pain while they are also thought to have lesser side-effects. There are various topical medications that can help with chronic musculoskeletal pain and the best of the lot are discussed below. NSAIDs remain the most commonly used medication for musculoskeletal pain. Oral NSAIDs are considered to be as effective as topical NSAIDs as far as pain management and pain relief is concerned. However, when it comes to side-effects and complications caused by their regular use, the topical NSAIDs prove to be the better option. NSAIDs in the form of pills are notorious for causing various complications with regular use though the same can’t be said about topical NSAIDs which don’t have any reported side-effects. It is important to note that these medications prove the most useful in cases of osteoarthritis and acute musculoskeletal injuries. 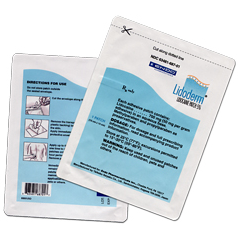 Lidocaine patches remain another common topical medication that is used for musculoskeletal pain. Even though the lidocaine patch is considered the most effective for treatment of postherpetic neuralgia and for amputation pain management, this topical medication is also extremely useful in cases of chronic musculoskeletal pain. Patients suffering from osteoarthritis, chronic back pain or myofascial pain syndrome find the 5% lidocaine patch extremely helpful. Capsaicin is another topical medication that is widely known for its treatment of musculoskeletal pain. Capsaicin is actually a component of chili peppers and is a counter-irritant. When capsaicin is applied over the skin, using its counter-irritant qualities, it reduces the pain. Capsaicin creams are primarily used for treatment of neuropathic cases but are now also being widely used for cases of musculoskeletal pain. Topical Capsaicin helps with fibromyalgia and OA the best according to most reports. However, it is important to note that regular usage of the cream may lead to irritation and itch around the region where the cream was applied. Dexamethasone is a topical medication that can also be used for treatment of musculoskeletal pain. It is basically a steroid that helps with all cases of inflammation and is therefore, considered to be the most useful in cases of plantar fasciitis, OA, Achilles tendonitis and knee injuries. It usually offers short-term pain relief only with the pain returning as soon as the effects of the steroid wear off. The steroid is most commonly used in physical therapy where it is “pushed” through the skin and soft tissues by a technique called iontophoresis. Arnica is usually used in gel form to treat various types of musculoskeletal pain. The herb is at its most effective when dealing with muscle aches and bruised areas while it is great in toning down swellings as well. However, consistent use of the arnica gel may lead to skin reactions in a small amount of cases.